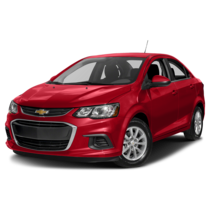 Available in both sedan and hatchback models, the spunky 2019 Chevrolet Sonic is a good time on four wheels. It offers everything you’re looking for in a fun-sized vehicle featuring more trunk space than the Toyota Corolla, a state-of-the-art Infotainment system that supports Apple CarPlay and Android Auto, available manual transmissions, an EPA-estimated 38 MPG on the highway, and a suite of reliable safety features. 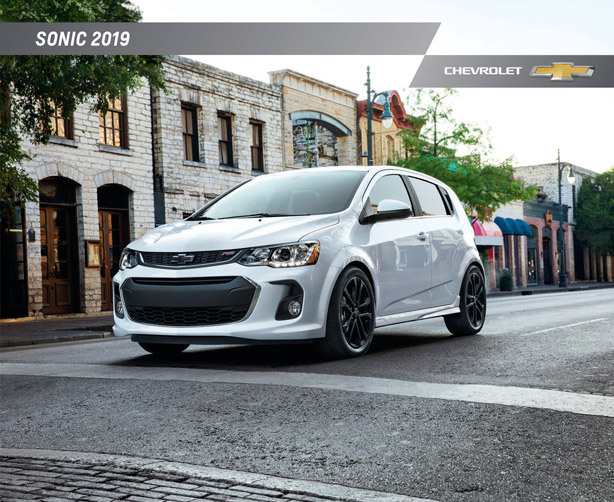 For an in-depth look at the 2019 Chevy Sonic, click the button below to download and view the official brochure. We're proud to host a variety of new Chevrolet models on our lot and believe we have vehicles suitable for almost any driver out there! If you're in the market for a 2019 Sonic, start your journey at Graff Bay City. Our knowledgeable Chevy experts are available to answer all your questions, get you approved for financing, and help you make the right decision based on your personal budget and needs. Before you even stop in, you can shop what's available on our lot online at your convenience. Our listings are updated daily and include pricing, photos, and full window sticker details. If you see a Sonic model you love, give us a call at (989) 684-4411. We'll get you set up with a test drive so you can experience the 2019 Chevy Sonic hands-on.